Why can’t we all ride bikes? I love my sister. She sends me the most wonderful things to consider. What if we all rode bikes instead of driving in cars? 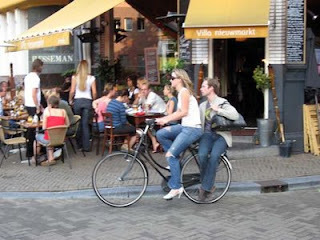 Here’s a link to show you what life could be like, if we lived in Amsterdam.